In the heart of Australia’s Yarra Valley wine country lies Yering Station, a vineyard (the first-ever vineyard in Victoria, Melbourne actually) that boasts gorgeously landscaped gardens. Paul plotted with Elise’s girlfriends to pick them and Elise up in a car for a vineyard lunch. Meanwhile, Paul waited a the vineyard with a bouquet, cheese platter, sparkling wine and one very big question. They celebrated with a picnic at the winery and then a more formal dinner that evening where Paul surprised Elise (again!) by revealing they were about to leave for a week-long trip to Fiji. With her bags already packed (thanks to her mum! 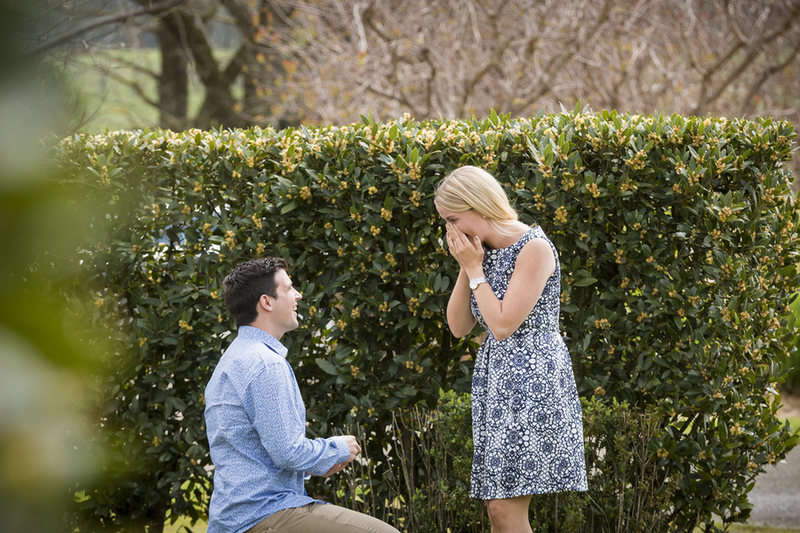 ), Paul whisked his fiancee away to complete perhaps one of the best proposals we have ever heard. Paul picked out a gorgeous yellow center stone with a double halo.